Ultra High Net Worth Individuals (UHNWI) and families are the wealthiest clients in the world. The value of their investable assets exceeds the highest thresholds in the world. When they look for a new property to purchase, they will always want to be in the finest neighborhood, with the best restaurants and shops, close to their social circles, and the most exquisite art galleries and nightlife available. Our ultra high net worth real estate services will provide you with the comprehensive services you need to find that special home within the arrondisement of your choice. Often times unlisted, these are the neighborhoods where most real estate sales are private and never listed on any real estate database. Paris, the City of Light, is the epitome of Luxury. From LVMH to Dior, Saint Laurent to Hermès, the founding luxury institutions of Paris are what makes our city one of the most sought after international capitals in the world. Demand is very high for luxury properties in Paris, although the best ones can often be hard to find before they are acquired. Our luxury real estate services team will find you your dream property, and we will assist you every step of the way. You can find anything you may need or desire in Paris. Food, culture and entertainment from every region of the world exists in the City of Light. There is nothing that you cannot find, or request, that cannot be found or flown in, from anywhere. Our professional services network includes the top concierges in the city including personal shopping, au pair and butler services. Whatever your need may be, we can assist you in finding a solution.  We surround our clients with our expertise and knowledge of the Paris real estate market. Our ultra high net worth strategy is to build a comprehensive plan for them to determine every need they have, to create a results oriented action plan, and to ensure we outline every special request so that we can find the ultimate dream home in Paris for our clients. Our strategy is to not leave any questions unanswered with our clients, to make sure we truly understand what they are searching for. Paris is a very difficult market to find the perfect property due to high demand, but we strive to find that perfect home for all of our clients.